In the article is considered an example of creating an application that calculates the area of triangle by using Heron’s formula. 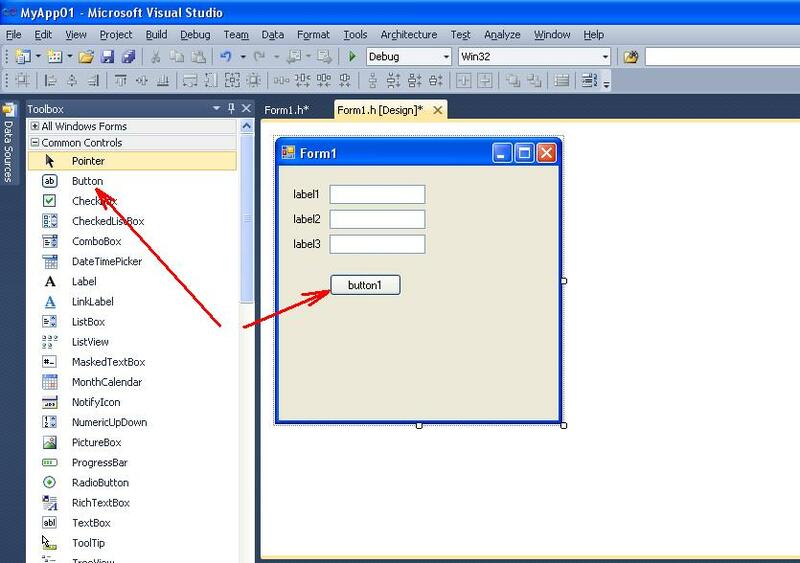 Application is realized in Microsoft Visual Studio as Windows Forms Application. 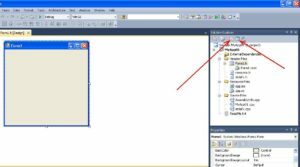 In the topic is considered programming of event of click on the button. 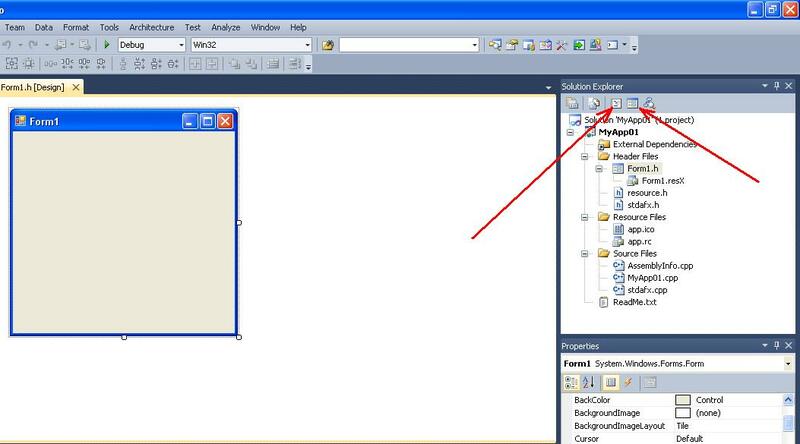 Also are considered the features of interconnection of program code with components Label, Button, Edit. The lengths sides a, b, c of the triangle are specified. By using Microsoft Visual Studio need to develop the application, which calculates the area of triangle by Heron’s formula. 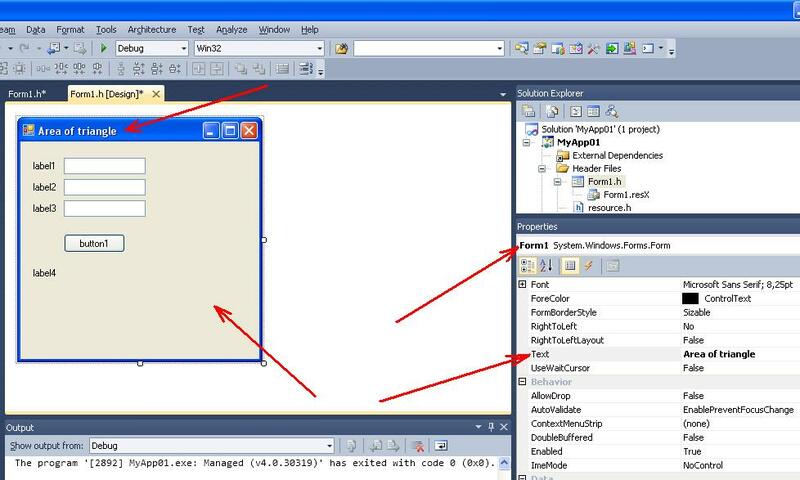 Application must realized in C++ as Windows Forms Application. 1. 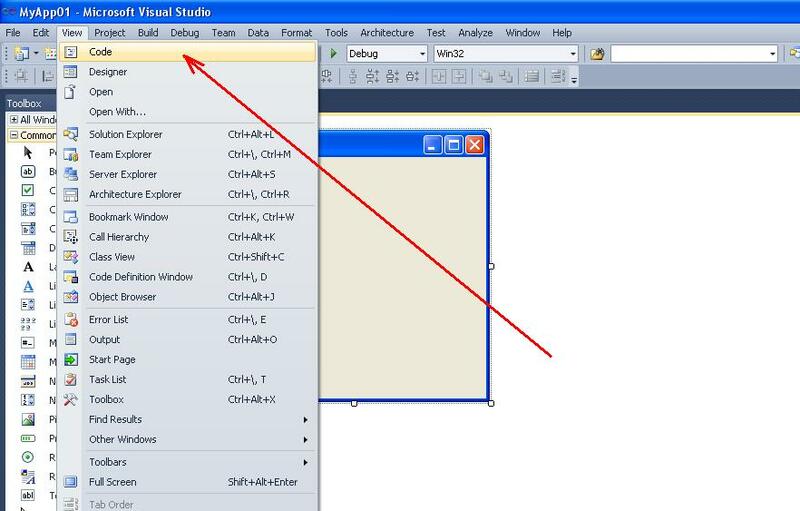 Run Microsoft Visual Studio. Create a project. Run MS Visual Studio. 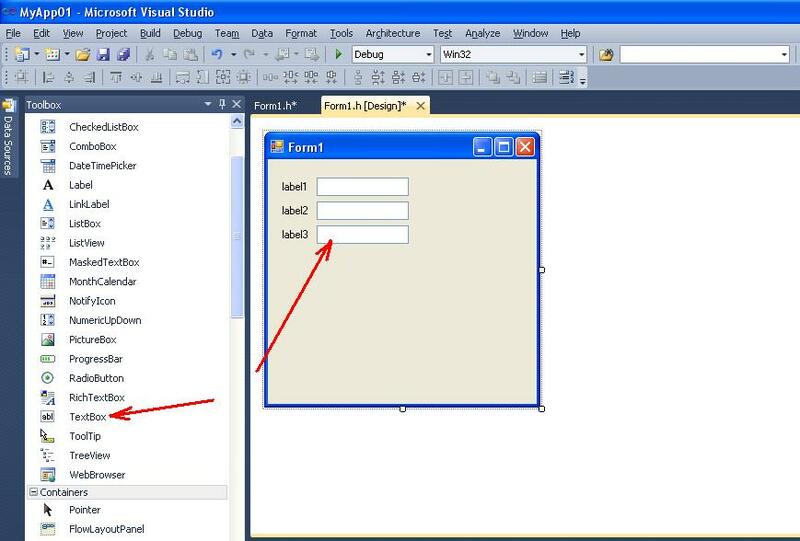 Create a project as Windows Forms Application based on the “Visual C++” template. 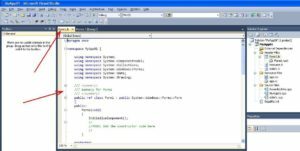 An example of creating the project of Windows Forms Application type in C++ and created files types are described here. Save the file, specify the any name (eg “MyApp01“). As a result, the main form of application will be created (Figure 1). 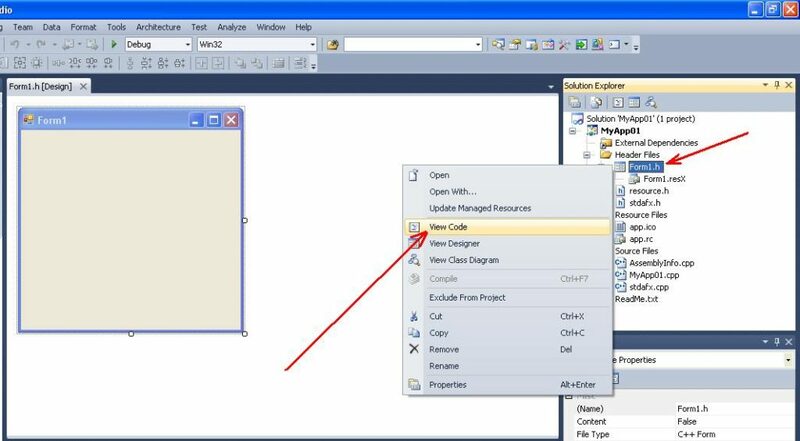 – click on the corresponding button (View Code or View Designer) in Solution Explorer (Figure 4). As a result of go to the viewing mode, the window, which includes text of file “Form1.h“, will be opened. Thus it is possible to switch between the modes of design and editing the code of source of project. – method InitializeComponent(), where you can initialize the internal variables. 2. Placing components on the form. 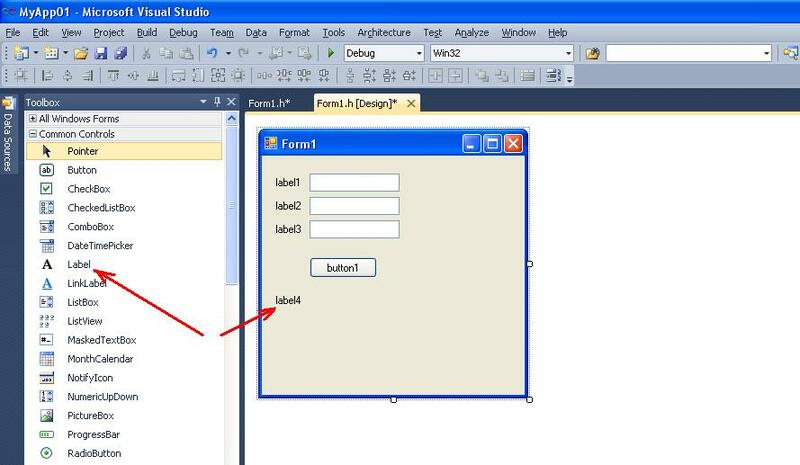 For the program you need to place on the form corresponding components. 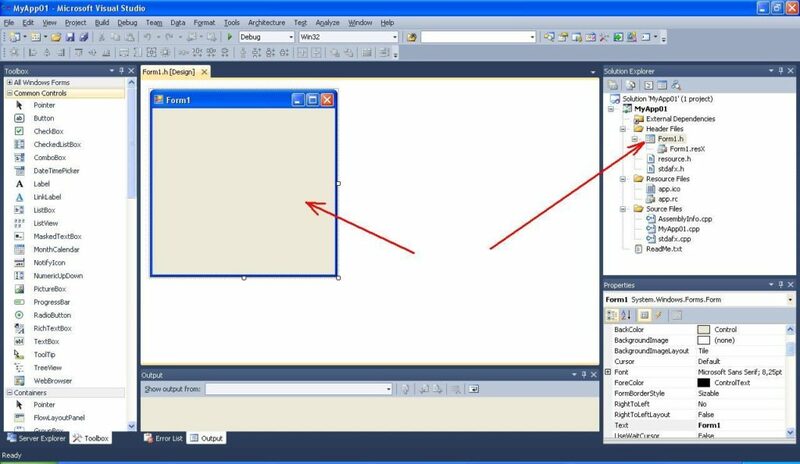 To do placing of components, you need to go to the design mode using one of above mentioned methods. Components are placed on the panel Toolbox (Figure 6). – one component of Label type (Figure 10). It intended to output the result (area of triangle). The object with name label4 is created. After placing the components form will look as shown in Figure 10. 3. Setting the properties of components. 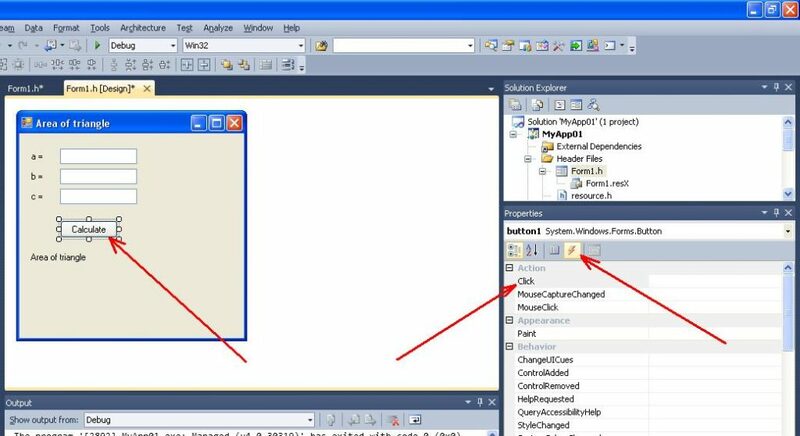 In order to form had more descriptive view for the task solution, you need to configure it’s properties and properties of components placed on it. To change the form title, previously you need to select the form (using mouse). 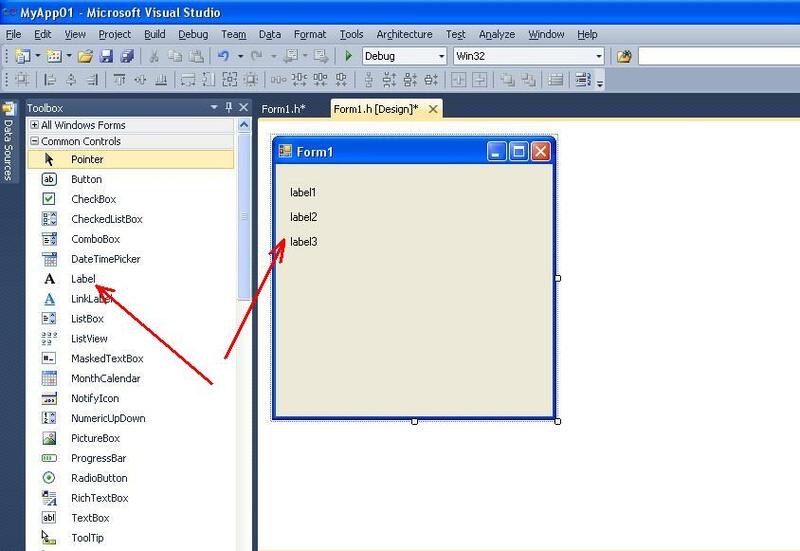 After that, in the title of window “Properties” may appeared the title of form Form1. 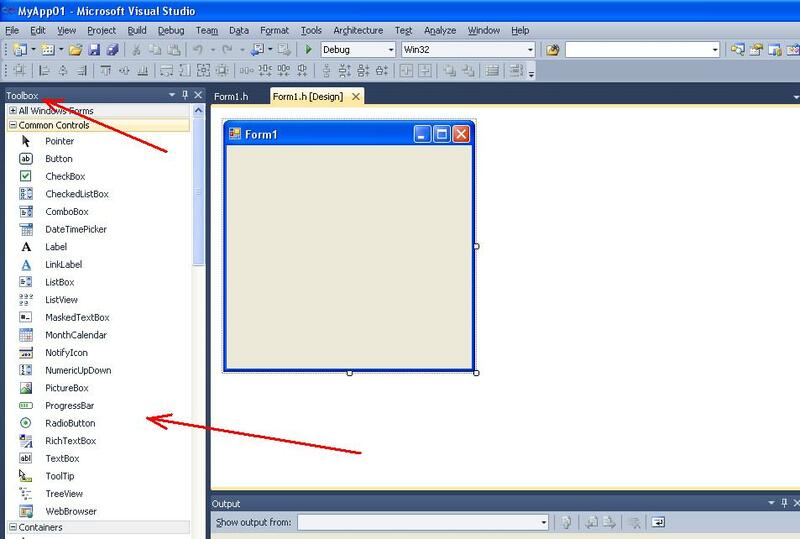 The next step, property “Text” you need set to value “Area of triangle” (Figure 12). Figure 12. The setting of title the main form of the program. Likewise the properties of components, which are placed on the form, are set. – in the component button1 property Text = “Calculate“. After executed actions, form will look like as shown in Figure 13. 4. Programming of clicking on the button “button1“. 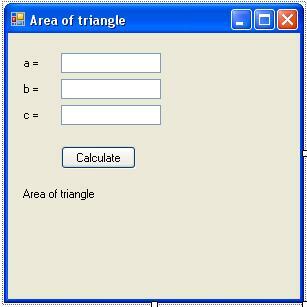 The result of program work is calculating of area of triangle. The calculating occurs when user clicks on the button “Calculate“. As a result, the event Click is generated. In program the code snippet corresponds to this event. This code snippet is named event handler. 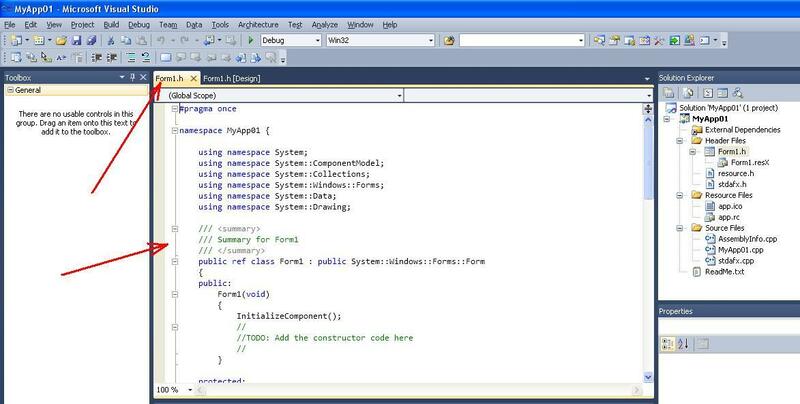 This code snippet is formed by Microsoft Visual Studio. 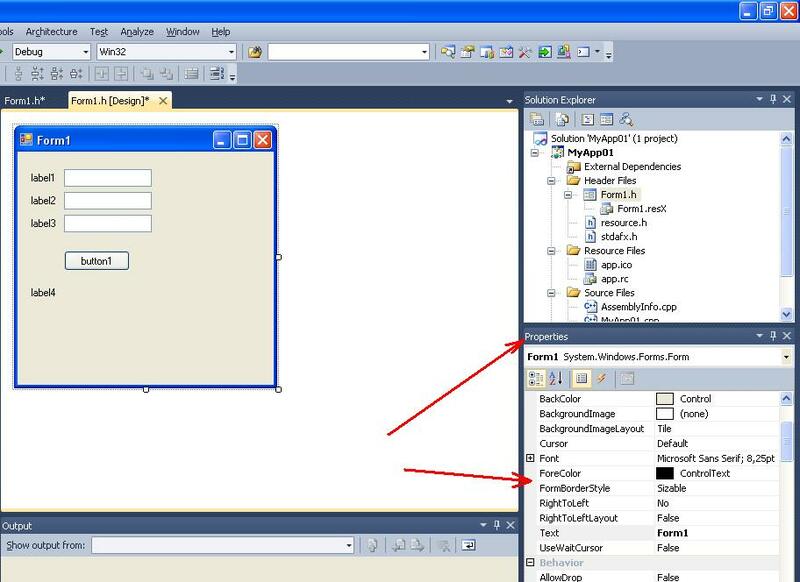 – do the double click by mouse in the event list in the field of inputting the event Click. As a result, Microsoft Visual Studio will form the event handler and will switch the window into the mode of entering the program code. Between the braces you need to enter your own code of calculating the area of triangle using Heron’s formula. To convert the value of component textBox1->Text from string into a float type is used method Parse() from System::Double class. Pointer “this” is a pointer at given class (Form1). Now you can run the application (F5 key) and test it.